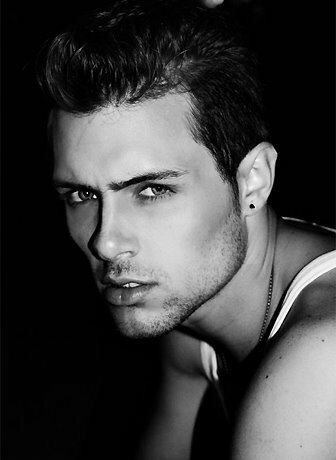 Zac Taylor, born in 1988, in Ohio, USA, is an American model. Standing 6 feet tall, Taylor started his career in 2007. For a struggling student at the time, he gave modeling a try. His sultry good looks are exactly what world famous photographer Bruce Weber was looking for at "Abercrombie & Fitch". Modeling for A&F might not be the highest-end job for a model, but it's helped launched many careers. Such is the case with Taylor. After working with Bruce Weber for the brand in 2007, Taylor's gone on to become one of modeling's top faces. Starting with his exclusive for "Mossimo". He then graced the pages of numerous magazines including the front cover of "Optimum Magazine". Taylor's also been photographed by renown lensman Joe Lally for a collection called "Decadence" which showcased his wide range of "looks", indicative of his awesome versatility. Several big agencies soon became interested in him, namely, NY Models, LA Models, Chosen, IMG, Kim Dawson, Future, and Premier.